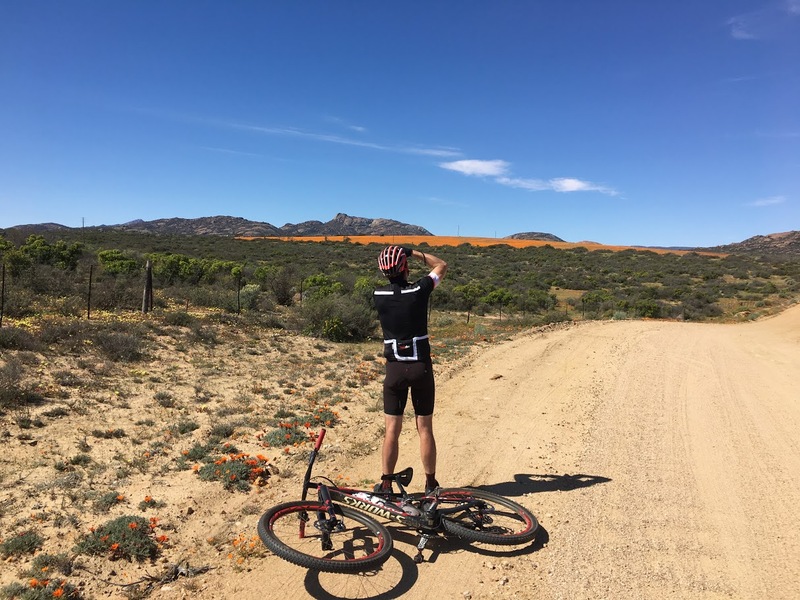 Come Tripping with us through the World Famous flowers of Namaqualand, as this normally arid dessert landscape comes alive once a year in a floral spectacle of riotous colour. Day starts with a shulttle pick-up and a 470km drive to Agama Luxury Tented Camp where we’ll spend the night. 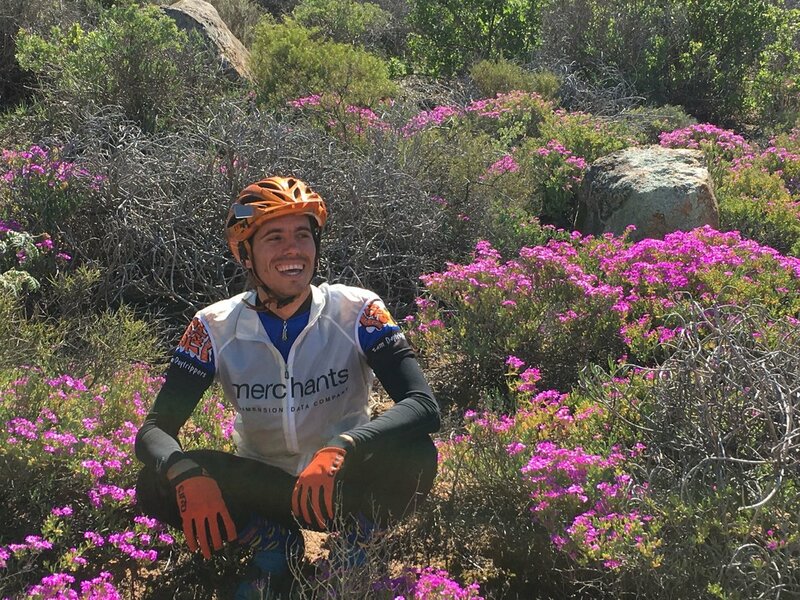 Today we ride the Agama 52km loop which runs on both sides of the N7 looping around into the rugged Namaqualand Hills. We stop for a water point after about 23km near Tweerivier junction. Then, heading southwards through Klipvlei, we double back on our route to camp where we will have a picnic lunch on arrival. Overnight at Agama Camp. 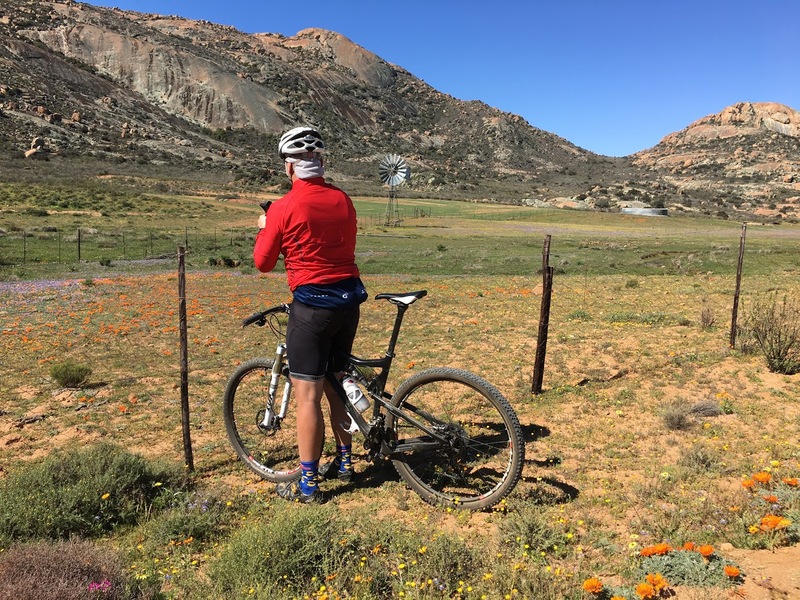 Leaving our camp, the ride follows a series of farm jeep tracks past the tiny hamlet of Klipfontein before heading due north on now fairly sandy tracks past the prominent Betelsklip rock feature and climbing through Darter’s Poort. Lieutenant Charles James Darter’s grave is along the road and is often referred to as the smallest piece of Britain in the world. 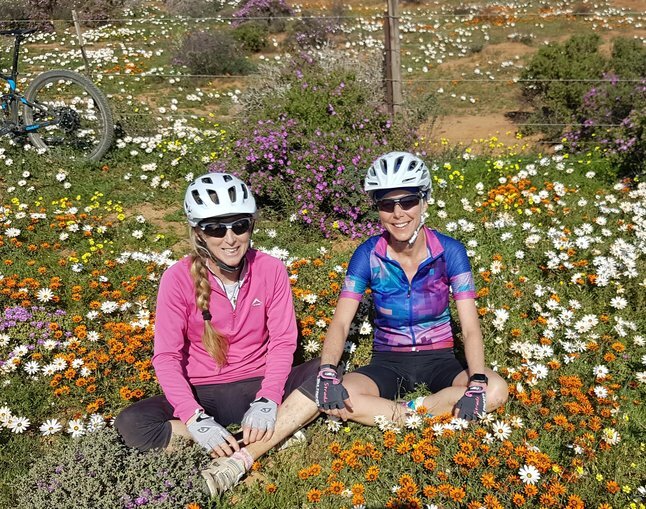 We ride through Blouklippe farm where we stop for lunch at the quaint pop-up farmstall, the Murasie and then on to the Skilpad Luxury Flower Camp in the Namaqua National Park. Overnight at Skilpad Camp. From our camp we ride on a dirt road with some concrete through the reserve and veer off down some sandy 4×4 tracks to find the flowers in the valley of the Swartlintjiesrivier (they use the term ‘rivier’ loosely around these parts) before looping back up to camp. Overnight at Skilpad Camp. Leaving the reserve we ride to Kamieskroon and then up the Kamiesbergpas and around past the Kamiesberg. En route, where we find some nice flowers, we will stop and make a roadside picnic for lunch. 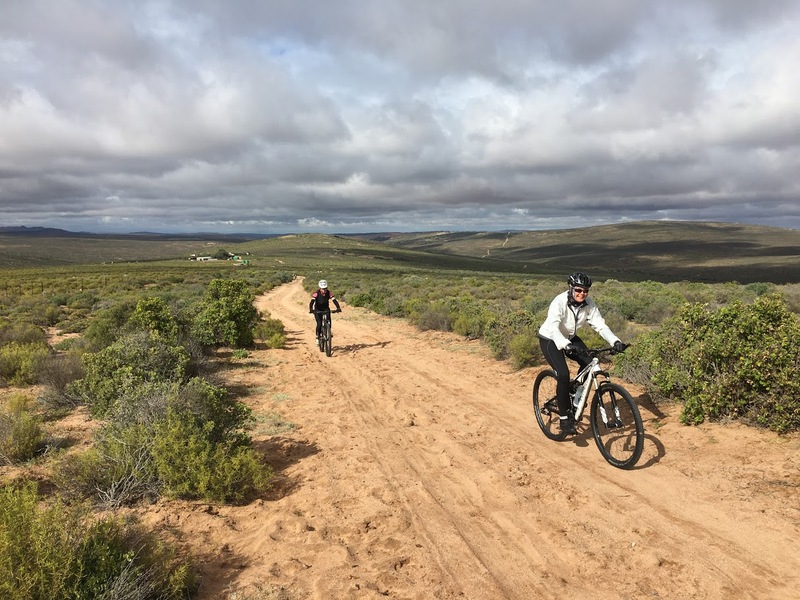 We pass the turn off to Lliesfontein and then get a thrilling downhill past the highest mountain in the Northern Cape – Rooiberg. This is a good road with less sand and some fast downhill ending up in Garies on the N7. Here we load up and start our shuttle back to Cape Town. Do not book return flights before 20h00 or plan to spend the night in Cape Town.